Today in the West people are celebrating “Thanksgiving”. 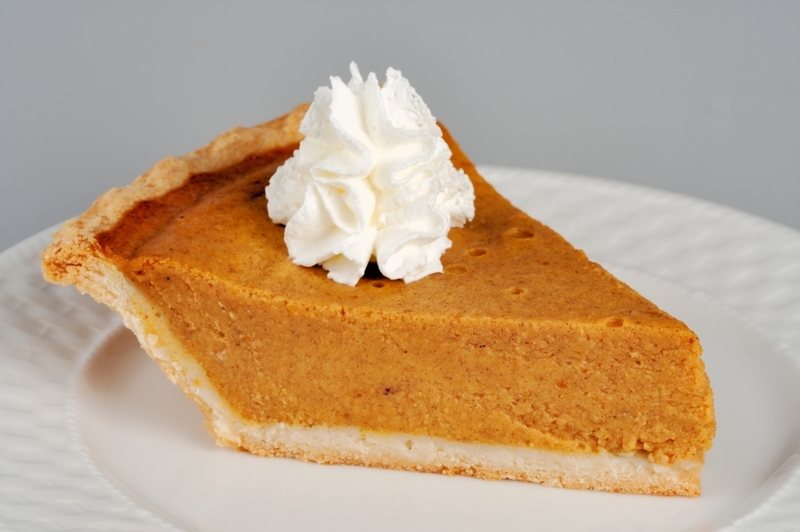 So we are posting a traditional Thanksgiving recipe; Sweet Potato Pie (without the eggs). I have been making egg-less pies for the last 39 years, and have tried many different variations. I use 2 tablespoons of sour cream instead of 2 eggs, and one year I used Philadelphia cream cheese instead of evaporated milk, all with good success. If you want to do everything yourself, there is the do it yourself recipe for a “homemade” pie crust, sweet potato puree, spicing, and sweetened whipped cream. Mix the flour with the salt and cut the cold butter into the flour using a pastry blender or with your fingers until you get coarse breadcrumbs. Or, combine the flour, butter and salt in a food processor and process with 12-15 short bursts until it resembles coarse breadcrumbs. Put in the cold water and form into a soft dough. Do not handle the dough more than required at this stage. Gather the dough into a ball and chill well for an hour or two. Place the dough on a floured surface. Roll out the dough to a circle, approximately 12″ in diameter to line a (9-inch) pie dish. Prepare the edges and chill while you prepare the filling. Combine 2 cups of baked mashed Sweet potato with all other ingredients and blend into a puree until there are no lumps. Spoon the filling into the chilled crust and level with the help of a palette knife. Bake for about 40 minutes or until the filling is set and the top crust is a nice golden brown. Allow to cool, cut into wedges and serve with whipped cream, vanilla ice cream or sweetened yogurt. Pre-heat the oven 400 F. and bake for about 40 minutes or until the filling is set and the top crust is a nice golden brown. Allow to cool, cut into wedges and serve with whipped cream, vanilla ice cream or sweetened yogurt. In a small chilled mixing bowl combine whipping cream, sugar and vanilla. Beat until soft peaks form. Do not overbeat!